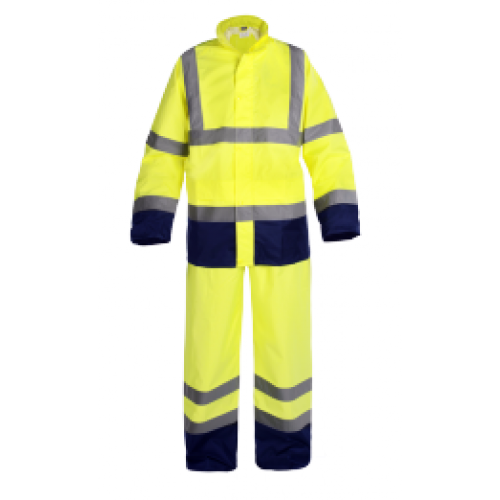 Rainsuit, 130 GSM Oxford/Nylon with PU coating, high visibility fluo-yellow/navy blue with reflective tape. 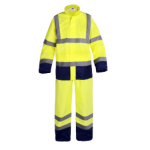 zip closure, press stud fastening and windcatchers in the sleeves. 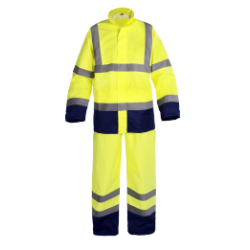 Trousers with elastic waist band and two pocket holes. EN ISO 20471:2013 , EN 343:2003.